Previously, it was hard for Instagram users to distinguish an account belonging to a business from one that is dedicated to cats, but with the Business Profile feature, that’s a problem of the past. By taking advantage of this, you are giving customers directions to your business with just one tap – and on top of that, you can also establish a contact call to action with choices that include: text message, phone call or email. The posts themselves are identical to those from other accounts, but as previously mentioned, the major difference is the account’s profile page itself. Especially when customers are given directions and various channels for communication with just a single tap. This fills in the void many business owners experience: converting the interest sparked on Instagram and converting it into action. For example, if you stumble upon something you like on the page of a clothing boutique, you’ll be able to initiate contact with a single tap to inquire or to make a purchase. 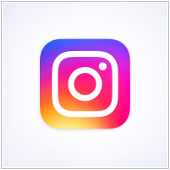 Inspired by Twitter and Facebook, Instagram will now offer analytical data that tracks how the content is performing. Business owners will get to see reach and impressions data along with demographics (ex. On location and age) for each post. This data won’t be available on Instagram itself, to access it you’ll need a business Facebook page that is linked to the Instagram account. By analyzing user demographics and behavioral data, you’ll be able to create Instagram content geared towards users that are more likely to engage with it. Both the Business Profile and Insight features are free, but companies with a generous advertising budget can utilize the Promote feature to enhance top-performing posts through paid advertisements. Instagram will also suggest which posts should be promoted, and you can use the data gathered from Insights to designate top-performing posts based on your target audience. Plus with customizable targeting options, you are in control of how little or how much you want your content promoted. Promoted content also comes with a call-to-action embedded in the post, for example: triggering a phone call or redirecting traffic to your website.